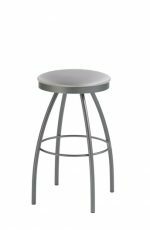 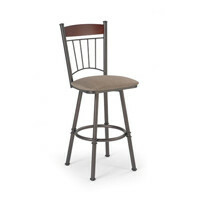 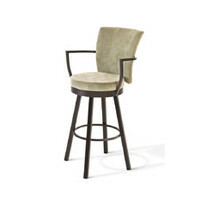 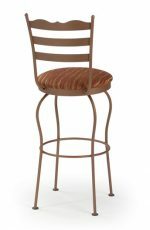 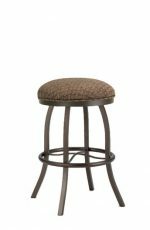 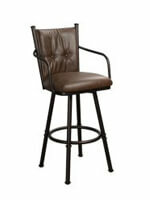 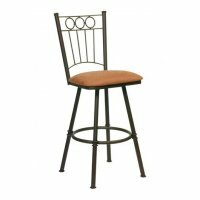 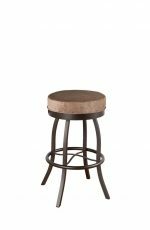 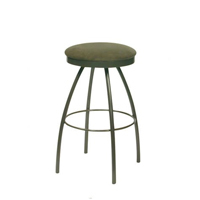 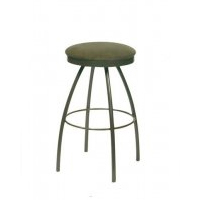 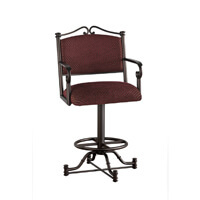 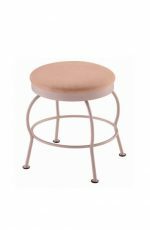 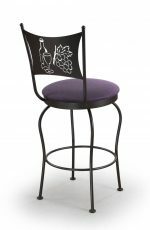 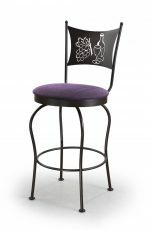 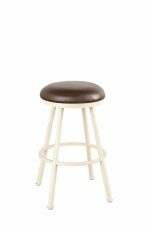 Buy Trica's Kim Backless Swivel Bar Stool - Free Shipping! 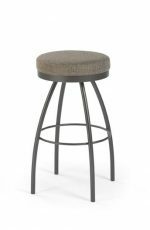 Beach home? 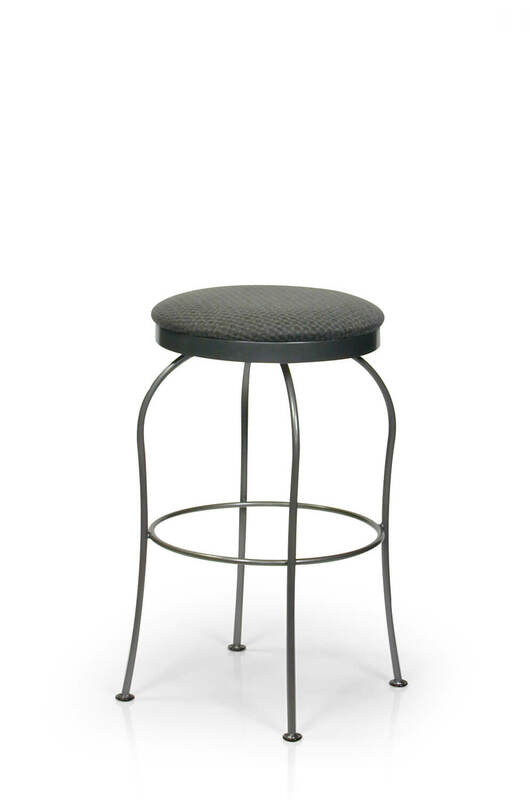 Change the metal finish to Glossy White with the Aspen Sea Spray vinyl. 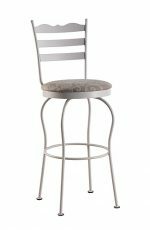 Stainless appliances? 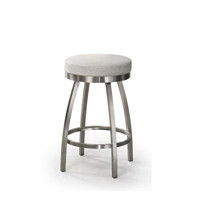 Get the Silver metal finish and pair it the new Diamond 500 fabric. 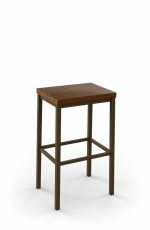 Serene cabin in the woods? 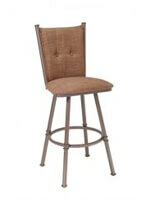 Go with the Golden Brown metal finish with the Crazy Horse Chocolate vinyl. 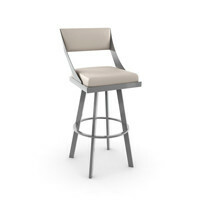 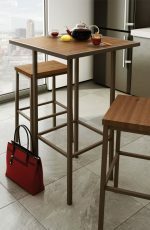 Not only is Kim versatile, but she’s also well-made and sturdier than 90% of the backless stools on the market. 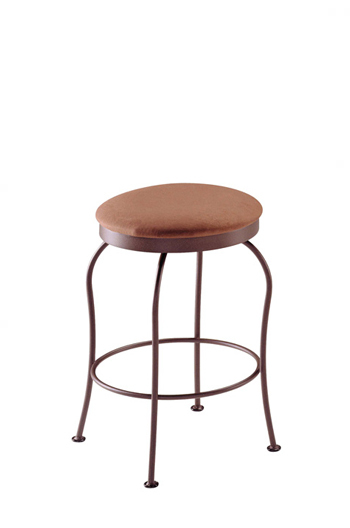 Enjoy peace of mind with the Kim backless stool. 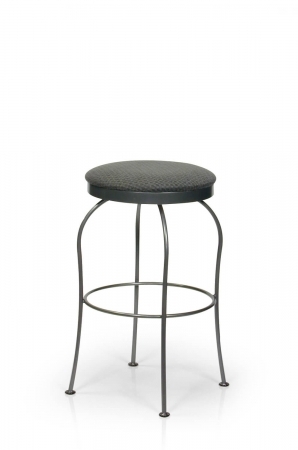 • For the Kim Backless Swivel Stool, you will need 0.80 yard(s) per chair.